The classic Old London exposed thermostatic triple shower valve brings substantial timeless elegance to the your bathroom. 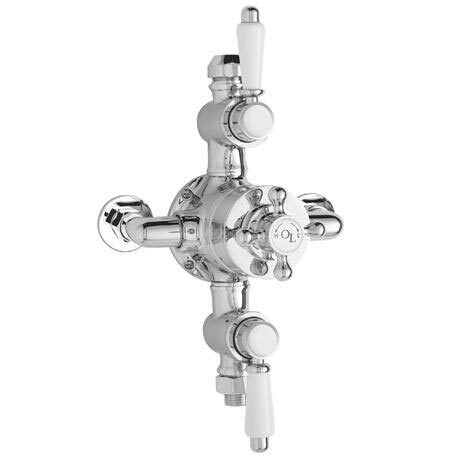 Using high quality chrome and brass Old London stylish period shower valves will look outstanding in your shower enclosure / wetroom. Separate controls for temperature and flow. Operates two shower accessories separately or simultaneously, for use with rigid riser kits.